You are here: Virgin Islands News Online » News » Did Premier Smith sell us out @ recent UK Meeting? Did Premier Smith sell us out @ recent UK Meeting? - Britain’s Overseas Territories have agreed to reveal who benefits from companies in their jurisdictions; Caymans Islands rejects deal! LONDON, United Kingdom- In a statement in the House of Assembly on Thursday, February 12, 2015 Premier and Minister of Finance Dr The Honourable D. Orlando Smith told the people of the Virgin Islands that key stakeholders within the territory’s financial and social services sectors did not support the Virgin Islands establishing a Beneficial Ownership central register, preferring the current regime which has been shown to work. In fact, in the statement at the Third Sitting of the Fourth Session of the Second House of Assembly, Dr Smith, the second Premier of the British Overseas Territory, gave statistics to support his claim. He said some 81% did not support the Register of Beneficial Ownership and 71% of respondents rejected the idea of allowing public access to a Register of Beneficial Ownership. Premier Smith said some of the key reasons cited against the establishment of a central register essentially related to compliance cost that could actually damage the competitive position of the VI vis-à-vis other international finance centers. 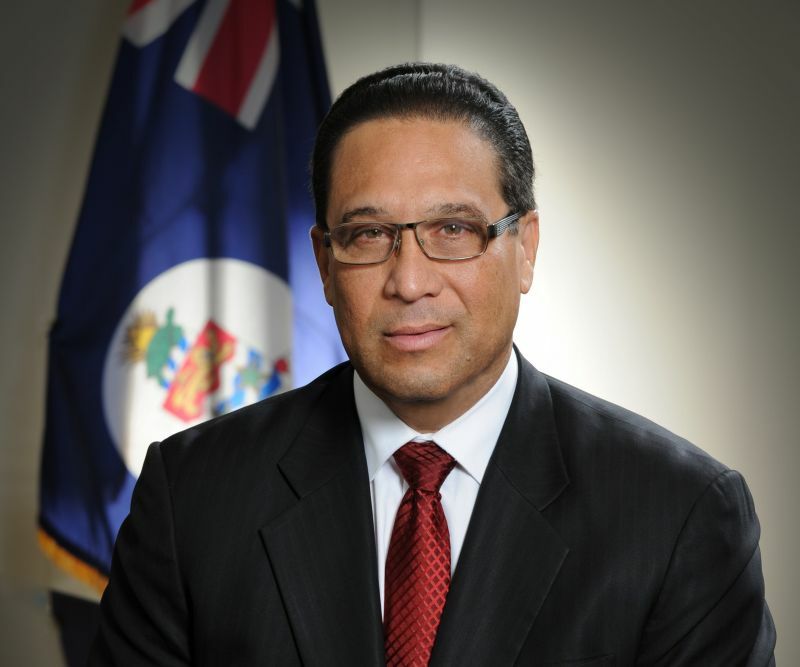 Furthermore, Premier Smith, in standing against what he just agreed to in the United Kingdom at the December 1 and 2 meeting with the VI and other Overseas Territories, told the people that one of his objections then in opposing the Register of Beneficial Ownership, was that he was concerned about data security, the increased potential for fraud and the infringement of constitutional rights of privacy. Did Dr Smith flip flop again? What this means in effect is the VI now agreed to what Premier Smith told the people was bad for us and our Financial Services Sector. The usually public relations zealous National Democratic Party Administration has not said much to the people on what was agreed. In a Government Information Service (GIS) press release issued to local media house on December 3, 2015, Premier said he updated Overseas Territories Minister James Duddridge MP on changes publicly announced in November to the territory’s anti-money laundering code to reinforce the jurisdiction’s robust regulatory regime; and the launch of the BVI Forward campaign designed to maintain the global competitiveness of the territory’s financial services industry. Cayman Islands stood up while VI caved! The Financial Times of London reported this week that the Cayman Islands flatly refused the UK’s request that they give law enforcement access to beneficial ownership information, arguing that such a basic measure as allowing investigators to trace the proceeds of corruption poses a competitive disadvantage. Hon Nigel J. Mills (Amber Valley), an MP within the ruling Conservative Party in Britain, told the London media that the territories need to “take the lead” on the issue rather than wait for competitor countries to implement similar rules. He said: “Would you agree that our overseas territories should be taking the lead in preventing the flow of corrupt, criminal and terrorist money, rather than waiting for everybody else to do it at the same time? It remains unclear why the VI Head of Government Premier D. Orlando Smith has agreed to such masseurs as revealed in the joint communique after the meeting when in-fact he went to London strongly opposing the measures. While it has been long established that Dr Smith is no Donald J. Trump, Hon Ralph T. O'Neal OBE or Leader of the Opposition Hon Julian Fraser RA, when coming to seasoned and strong negotiations, but maybe in-fact when we do obtain a response from Premier Smith we will learn again that he had the UK “eating out of his hands”. The Financial Services sector is responsible for up to 60% of the Virgin Islands revenue. what is new here the man is a waste! He might be a so call "waste" but he getting things done and developing the country . All y'all people like to do is bring down others shameful! And of course, politician wanna-bees like Fahie, Fraser & Myron, under whose leadership the BVI could descend into chaos. Doc has made it clear his objections was to a PUBLIC policyregistry. The UK compromised to a registry publicly accessible. Congratulations to our Premier for a job well done! ting to talk I so agree with you. The negativity needs to stop for its not good for the country. Furthermore, the Premier of these Virgin Islands was not the only one to sign on. Bermuda which is a very strong financial services jurisdiction also signed on. Do we have to get in other people's fight with the British? Maybe Cayman is having other issues with the British and this is just one such thing. Easiest thing in the world to do: Blame others. Hardest thing: See the faults in ourselves. The BVI performs in a world of its own. WOW! I am not sure there is an honest politician on the island !! I had a lot of faith when Dr's were first elected. Thought that the education would take over. Then learned about airport try (after failure of 5 star resort on Beef Island, and have seen the mess they made of bond issue, & Pier Park. Anyone representinmg us in England must be willing to fight -- to speak plainly and forcefully -- to identify enemies to our progress like duple standards for hand-wringing will not be enough. I say, Attack! I'm not shocked or surprised by this the question is did we have a choice? Dr Smith is a disaster as Premier. The scary thing is not what Hon O. Smith says or implies. The scary thing is that so many of the NDP supporters believe in him. 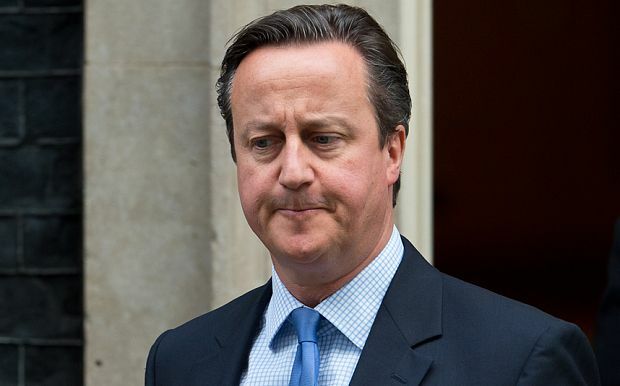 The UK knows his government is corrupt & should be investigated so he sold us out to protect his corrupt government. We are fast a sleep letting this guy and his gang through their PR make us feel that we are going well when the truth is that he & his gang have this country on the road to hell. And for my friends and family who still consider themselves VIPs, I'm so very very sorry for your loss. Time and time again, the NDP and their base have been the most dangerous folks in the BVI. There is no more Fraser nor is there a VIP. Lacking the ability to compromise and to negotiate by its members has decimated Fraser,Fahie and the VIP . Take your marbles and go home, lady,,,,and don't come back. As a non-BVI voter, I kinda like this guy dr Smith. Not as a leader but as someone who is like the next door neighbour, I can take home to mom, but as for Fraser I find him ridicules and hard to deal with in a democratic system. xsm........those who are still pulling the race card need mental help, the UK is the most diverse county in the world unlike the narrow minded thinking of people like you, anybody who condones gangster style tactics is going to end up in big trouble. kkk... dont work in an office and all work people are local so hush yourself. Who refer to Virgin Islanders as locals? Where did that terminology came from? The UK may be a diverse country but many come to the Virgin Islands and bring racist attitudes with them. People, do not forget that the Plantation owners of the Virgin Islands were from UNITED KINGDOM. It is our history and we will NEVER FORGET IT. And if you give them a chance they will fri###in enslave us again, so we cannot trust them and must not trust them ever again. No David Cameron or whoever can ever have the best interest of our people at heart. We need to look out for ourselves. England knows exactly what's happening. They are just waiting for the right time to move in. They can sweet talk all they want. Keep your eyes open. Doc is a very nice gentle man, intelligent and well respected. But he comes across as one that don't like confrontation. But in his position confrontation is very necessary at times. Or he will be pushed over. If only you can get NDP without Dr.Smith. He is too soft spoken and we need a leader who can fight. This is ridiculous. Could have chose someone else for the meeting. poor leadership over the years has brought the territory full circle right back into the hands of the UK; its was back around 1972 this territory moved away from granting-aid NOW in 2015 the UK wants to regain financial control?? People get real, we belong to Elizabeth she said the BVI was a gift and she nor sell us out. getting the NDP out of office is Like shooting fish in a rain barrel". The success of the dr. Smith upcoming explaination on what happened in the UK will hinge on whether he speaks to the country or lectures it. I understand the sentiments of all but as a people and country we don't have to behave ourselves inappropriate to say something. The man is the Premier and the least we can do is respect his position and him as a person. Why worry when God don't sleep. All the wrongs that are done by us and politicians will one day come to light . The father ain't go turn he back on us as long as we be faithful. We have rights and when anyone violate leave it for vengeance is not ours to play with.